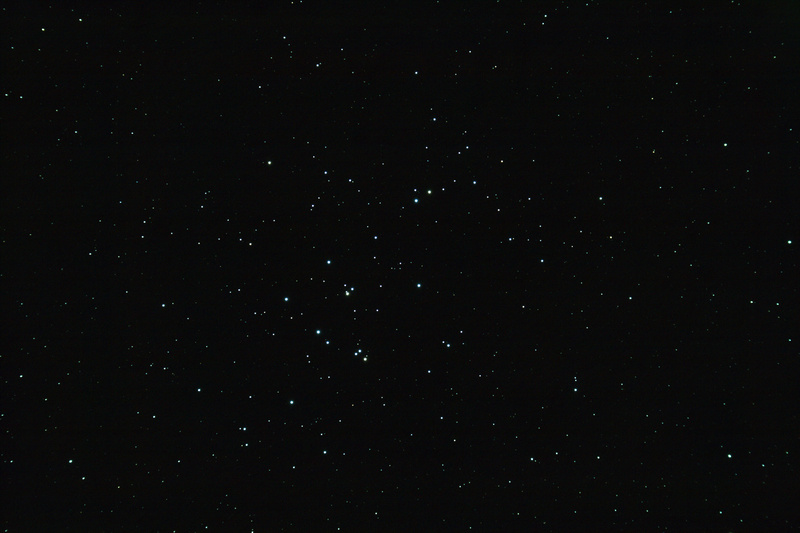 A few days ago after taking some video of Jupiter with a modified webcam, I slewed over to the open cluster Messier 44 also known as the Beehive Cluster and changed over to the Canon XTi to take some long exposures. Below is the result of stacking 20 x 30sec exposures at ISO 400. This entry was posted in Photo and tagged Astrophoto, Astrophotography, Messier, Open Cluster by Benoit Guertin. Bookmark the permalink.